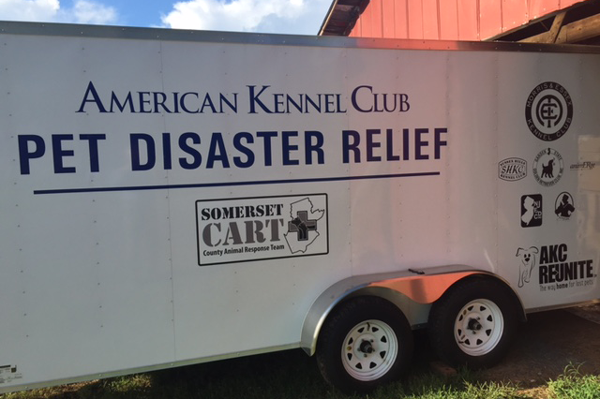 Somerset County is now equipped with a state-of-the-art AKC Pet Disaster Relief trailer that will be available to dispatch to any disaster scenes that need assistance sheltering pets. AKC Pet Disaster Relief, a national program that is dedicated to keeping pets and their owners safe in the aftermath of natural or civil disasters, joined forces with local American Kennel Club dog clubs and dog lovers to present an emergency trailer to officials from the Somerset County Animal Response Team (CART). 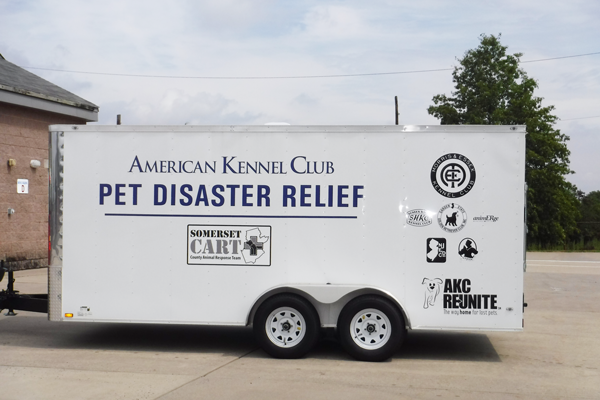 The Somerset CART trailer is the 50th AKC Pet Disaster Relief rolled out nationwide and the third to serve New Jersey. 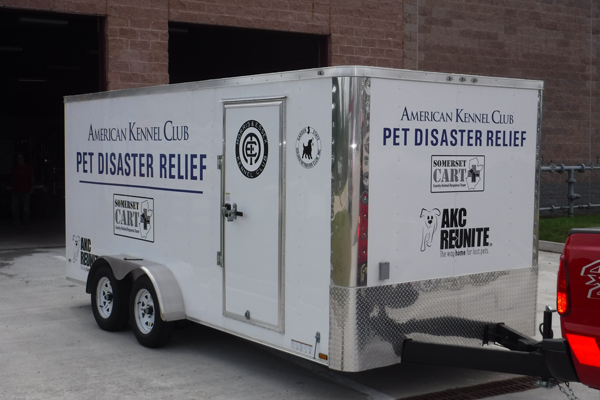 AKC Pet Disaster Relief trailers are also located in Morris and Bergen counties. 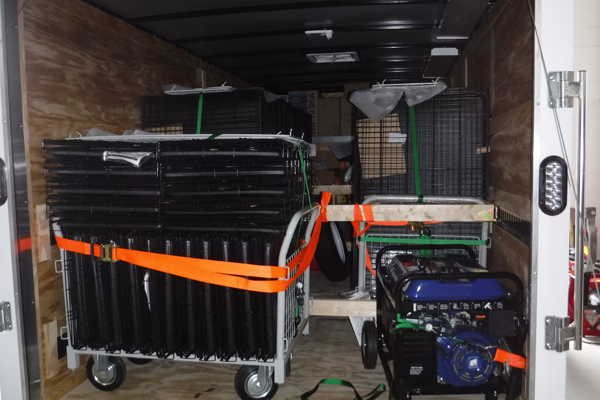 The purchase of the trailer was made possible by more than $22,000 in donations and grants from the Morris & Essex Kennel Club, Sussex Hills Kennel Club, the New Jersey Federation of Dog Clubs, the Garden State Golden Retriever Club, the Northern NJ Great Dane Club, the Ridgewood Responsible Pet Ownership Committee, Animerge PC and AKC Reunite, the nation’s largest non-profit pet identification and recovery service. “Thank you to these AKC dog clubs and AKC Reunite for helping us to obtain such a valuable tool that will allow our agency to ensure the safety of our pets during any future disasters,” said Kenneth Otrimski, Deputy Coordinator Somerset County Emergency Management.